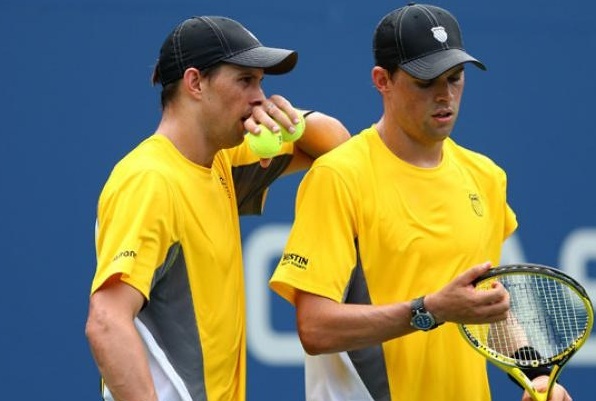 Three-time former champions Mike and Bob Bryan reached the semi-final round of the Barclays ATP World Tour Finals on Friday, after they were awarded the year-end No. 1 trophy in an on-court ceremony. The Bryan twins secured the year end trophy and ranking through their remarkable accomplishments, where they reached 102 titles and achieved the Career Golden Masters by winning the Shanghai Masters. The American pairing guaranteed their semi-final berth with a 7-6(3), 7-6(2) against third seeds Alexander Peya and Bruno Soares. The Bryans were placed in a tough spot, as the victor was expected to advance to the following round, and it was a competitive encounter throughout. The Bryans will next meet Julien Benneteau and Edouard Roger-Vasselin in the semi-final stage of the event. The last time they won the tournament was in 2009 and have since been absent from the final. 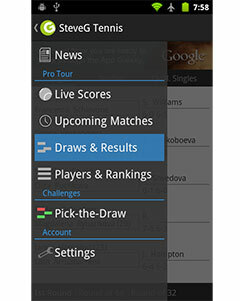 The contest is scheduled to take place on Saturday afternoon.